People born under this cusp are under the impression of two different energies. One if of Jupiter and second is of Saturn. 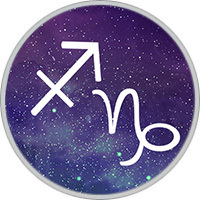 Jupiter stands for solid expansion and optimistic approach whereas Saturn stands for seriousness, realities and contractions. They are the unusual personalities with diametrically opposed planets. This cusp is generally able to influence in all segments in life. Sagittarius – Capricorn Cusp are highly intuitive and have ability of physic reading, astronomical observation and prophecy. They have strong mental power and into emotional orientation. They are masters of art of silence and have no need for speech to get their point across. That is the reason they are not very good in communication power. But their sixth sense is always activated and make them to work for occult sciences. Those born in this week are always best when they are in power and confidence. In case of failure they feel self pity or personal rejection. They themselves arte convinced on their own that now they cannot do anything. They feel that this is a psychological problem. In other sense they may get into terrorist attitude. To all put together if they use their energies in positive use they can achieve remarkable results. Only very few people can get close to Sagittarius-Capricorn. Their behaviors is generally anti-social. From childhood till the starting of their career most of them maintain this behaviors. That is why they are also called introvert. In relationship, they are deep over-passionate and highly sexual lovers that too in a great privacy. Their mates and friends often gain great satisfaction by sharing private and personal life with them. Those born on the Sagittarius-Capricorn Cusp will help shape the future. They have an innate talent for sensing the way things should go and bringing them to fruition. They begin preparing themselves early for what life may bring. Their motto is "Always be prepared." Not the most patient person on the block, they certainly appreciate those who agree with their plans. If they don’t find the cooperation they need, they will forge on ahead on their own with no problem. Sagittarius-Capricorn understands the power in silence. They have the ability to utilize this to help their cause. Unless they exercise caution, they may find themselves alienating those they work or live with. Sagittarius-Capricorn needs to temper their intensity. This will allow them to control their moods rather than letting their moods control them. They need to focus on building and maintaining social relationships. If they are not careful, they will close themselves off. Sagittarius-Capricorn is practical and optimistic. They are outgoing, and can be very friendly. Responsible and reliable, they are good to have at your side in a pinch. They like things to work in traditional ways. They have a great sense of humor. They like one-on-one competitions. They are devoted to their partners, and great fun to be around. They like to explore new things, and want to experience as many things as they can. Hard working, they are not easily deterred from their goals. The Cusp of Prophecy is known to be trustworthy, self-reliant, loyal, ambitious, charming, practical, economical, shrewd, fun, responsible, warm, funny, optimistic, romantic, playful, and enthusiastic. They can also be blunt, impulsive, vain, aggressive and quick-tempered. Individuals born on the Sagittarius-Capricorn cusp are inspired teachers, and they are very fond of children. They make astute observations, and make excellent critics, being just and fair. While they don’t fall in love easily, once they do they are faithful to the end. They give their best and expect the best in return. Methodical and efficient, they complete every task to the best of their ability. They like to travel and have an affinity to language. Sagittarius-Capricorn is a great thinker, and sometimes is gifted with prophecy to some degree. When these two signs work together in harmony, they have an unparalleled ability to create successful ideas and bring them to fruition. They have the determination to overcome whatever frustrations or obstacles as may arise along the way. If you really want to succeed, hitch your wagon to a Sagittarius/Capricorn Cusp to help you achieve your goal. They are intense, astronomical observant and inscrutable but they are antisocial and frustrated also. By understanding yourself properly can be highly beneficial for you. Try to avoid muddiness. Improve your social relationship and continue to be friendly with others. Allow your warm and loving side to keep you warm and friendly.